South Australia will need an almost eighty per cent increase in the number of aged care beds and community care places by 2027 or see a crisis for the state’s older residents, a coalition of 28 peak aged care organisations has warned. The National Aged Care Alliance, which recently launched the Australians Deserve to Age Well campaign, is calling for urgent reform to Australia’s aged care sector. Council on the Ageing (COTA) chief executive Ian Yates said that it was time the government took action to plan for the future of all Australians and show the leadership needed to fix the system now. “In South Australia there are currently about 185,000 people over the age of 70. Over the next 15 years this will increase to more than 313,368 placing huge pressure on an already struggling aged care system,” Yates said. “To just maintain the current levels, South Australia will need to provide at least 15,541 additional beds and aged care service packages in 2027. “This is a 78 per cent increase on what is currently provided and needs to be planned for now. President of Aged and Community Services Australia, Rob Hankins, said that the situation was “dire” and replicated across the country. “By 2050 it is predicted that almost a quarter of Australians will be 65 or older,” Hankins said. 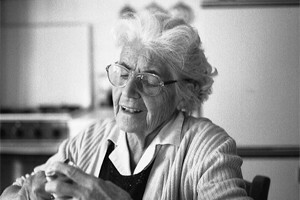 Meanwhile the secretary of the Australian Nursing and Midwifery Federation SA branch, Elizabeth Dabars, said that aged care workers, including nurses and assistants in nursing, were at the heart of care but with appalling low wages it was becoming increasingly difficult to attract workers to the sector. "The Federal Government has an opportunity to make a real difference to aged care workers by implementing aged care reform beginning in Budget 2012,” Dabars said.